MK CIL will be a professional organisation that adds value and strives for continuous development and excellence. 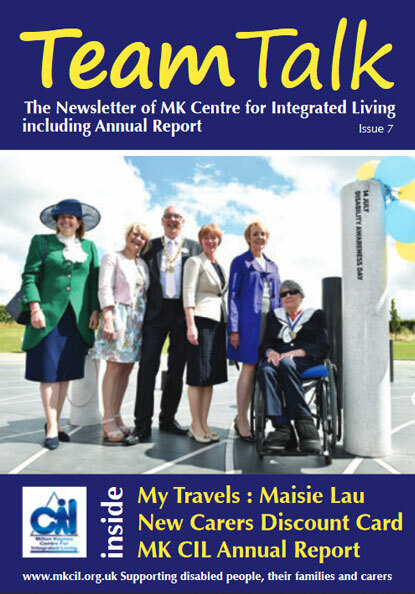 MK CIL will be an organisation that is honest, fair, respectful and inclusive in encouraging all individuals to reach their full potential. To be an effective User Led Organisation, governed by a Board of suitably experienced Trustees who will be elected by the users of MK CIL. The organisation will regularly consult with the Users who will determine the strategic direction of the organisation. To promote empowerment and independence for people with a disability through the provision of professional, independent, impartial, confidential, comprehensive information and advice to support the people in our community. To work in partnership with suitable and relevant partners to facilitate the delivery of the best advice and support to all sectors of the community. To provide individual and confidential support services for people with a disability. To identify additional support services which are not currently available and influence the enablement of the delivery of such services, either directly or through third party agencies. To promote equalities and public acceptance that all people with a disability are equal members of society. To broaden out into quality in all aspects of the organisation. MK CIL believes you are disabled if you have a physical or mental condition that has a ‘substantial’ and adverse impact on your ability to do undertake daily activities of your choosing. MK CIL subscribes to the social model of disability, which suggests that people are disabled not by their condition, but by the world around them. This includes attitudes, environments and policies that do not allow people to participate on an equal basis.